Much has been made of the fact that key Republicans working on tax reform have promised to preserve the popular mortgage interest deduction. But they never promised not to modify it. "We recognize ... you need to maintain the mortgage interest deduction. Whether it can be improved and how it works, that's the ... discussion we'll have on an ongoing basis," House Speaker Paul Ryan told CNBC recently. The "how it works" part is most likely the first order of business. Related: Will Republicans kill the estate tax? Tax writers are looking to replace some of the revenue they'd lose from the trillions in tax cuts they want to make. And the mortgage deduction is one of the most expensive tax breaks on the books, estimated to cost more than $80 billion a year in the next decade. "Everybody knows it's politically fraught, but the primary motivator is the money," said Gordon Gray, a former Senate Budget Committee staffer who is now director of fiscal policy at the American Action Forum, a center-right think tank. Today, homeowners who itemize deductions on their tax return may deduct the interest they pay on mortgages worth up to $1 million combined for their primary residence and second home. They also may deduct the interest on up to $100,000 in home-equity loans, unless they're subject to the Alternative Minimum Tax. One change to the deduction that lawmakers are considering, according to various reports, is lowering the $1 million loan cap to $500,000, which former House Ways and Means Chairman Dave Camp proposed doing in 2014. Doing so could raise between roughly $100 billion and $300 billion over a decade, the Tax Foundation estimates, depending on whether the change is phased in and whether it only applies to new mortgages or existing ones as well. That money would largely come out of the pockets of higher-income taxpayers, since they disproportionately benefit from the mortgage break. Of course, any change to the mortgage tax break will raise concerns of disrupting the housing market, with the strongest coming from the powerful real estate lobby. "Proposals limiting tax incentives for homeownership would cause home values everywhere to plunge," the National Association of Realtors said in a talking points memo about tax reform. But those concerns aren't just limited to a change in the mortgage deduction. Republicans have already proposed other measures that effectively would reduce the tax benefits of homeownership. They want to eliminate most itemized deductions, including the one that homeowners take for property taxes. 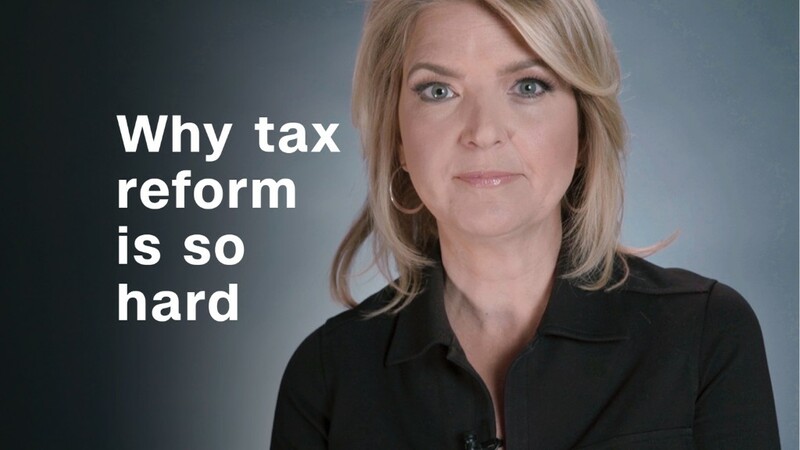 They want to double the standard deduction, which would drastically reduce the number of people who itemize in the first place -- from about 30% of filers today to about 5% -- since the only reason to itemize is if your deductions exceed the standard deduction. And they want to reduce income tax rates, which would lower the value of the mortgage tax break for those who do itemize.